Sports and recreational activities are the most common causes of dental injuries. A custom-fitted mouth guard from your dentist can largely reduce that risk as well as that of concussion. Dental injuries can be really painful and even disfiguring, not to mention a little costly to treat. When you get a dental injury, it could mean time off from school or work – and for a lot of us, that is something that we just cannot afford. Why Choose a Custom-Fitted Mouth Guard? When you wear a tailor-made mouth guard from your dentist while you are playing sports, you are protected from most dental injuries. 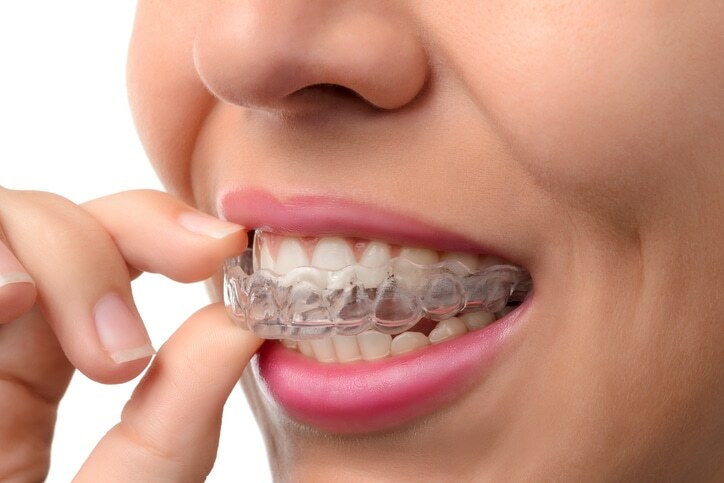 A well-fitting mouth guard allows normal swallowing, breathing, and speaking. It won’t cause any gagging. It’s thick enough to provide ample protection against impacts, yet still comfortable to wear. There are other types of mouth guards that you can that are less expensive. There is the Boil-and-Bite which is softened in boiling water and then bitten on by the wearer for it to take the shape of his or her mouth. This bite does not guarantee that it would conform perfectly and can be really uncomfortable. They should also be replaced regularly. Stock mouth guards are those ready-to-wear ones that you can find everywhere. While it is true that they are the least expensive variety, you should also keep in mind that they provide the least amount of protection. As you can expect, the fit is quite poor and can be uncomfortable as well. If you already have a mouth guard, or if you are considering getting one, then you should know how to care for it too. It is easy to maintain, actually. Just rinse it in soap and warm water after using and allow it to air dry. You can disinfect it using your regular mouthwash from time to time. Keep it in a ventilated storage box. Make sure this box has holes in it. Heat can damage your mouth guard so make sure to keep it from direct sunlight. Have it checked by your dentist when you visit to make sure it’s still in good condition. If your child is wearing one, have it replaced every year or so because his or her growth, as well as new teeth can affect the fit. Are you ready to have a mouth guard custom-fitted for you? Contact us at Pickering Square Dental and we’d happily schedule an appointment for you!